Sonja manages Innovation Challenge projects that aim to find out-of-the-box ideas and new collaboration partners for large corporations. She also coordinates the building of proposals in Horizon 2020 projects that aim to turn radical innovations to growing business. Sonja is the Product Owner of the proven Innovation Challenge concept at Spinverse, acts as sales support and assists in B2B marketing actions. Before joining Spinverse, Sonja worked as a researcher at the Department of Marketing in Aalto University, focusing on strategic marketing and new business development of digital solutions in large corporations. In 2016, she worked as a visiting researcher at Stanford University. Sonja has also worked as a project researcher in a multidisciplinary research project and in various marketing roles. 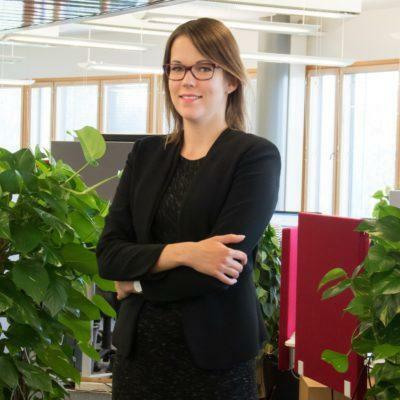 Sonja is finishing her doctoral thesis at Aalto University and holds a M.Sc. degree in international business from Turku School of Economics.